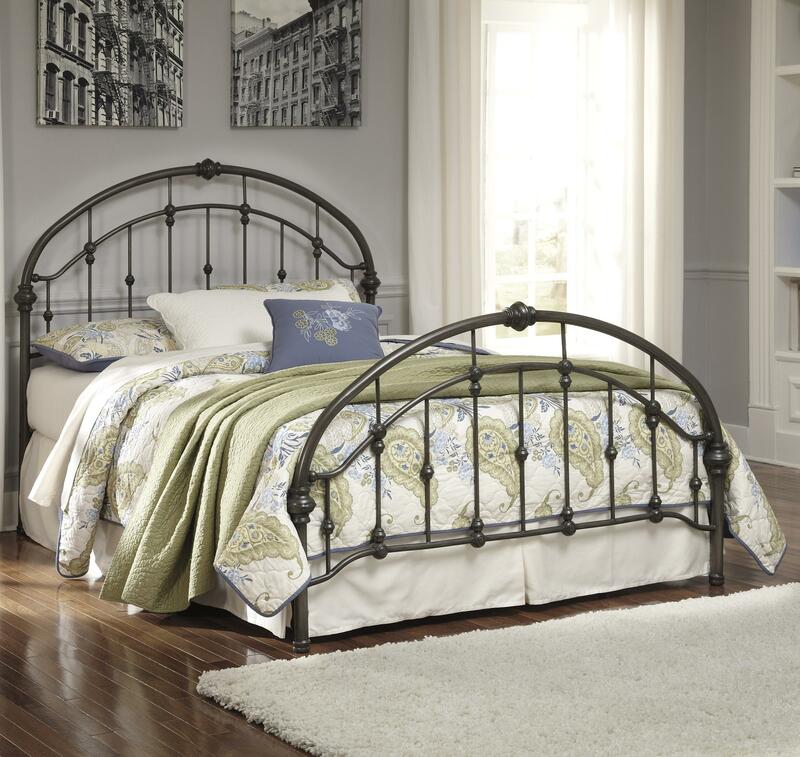 An arched metal bed like this is always in style! Its look will contrast nicely with the rest of your bedroom furniture, and the vintage casual design looks great in any decor. Bed frame made with welded tubular metal in a bronze color powder coat finish and moulded metal accents. Headboard, footboard, and rails included. The Nashburg King Arched Metal Bed in Bronze Color Finish by Signature Design by Ashley at Sam Levitz Furniture in the Tucson, Oro Valley, Marana, Vail, and Green Valley, AZ area. Product availability may vary. Contact us for the most current availability on this product. The Nashburg collection is a great option if you are looking for Transitional furniture in the Tucson, Oro Valley, Marana, Vail, and Green Valley, AZ area. Browse other items in the Nashburg collection from Sam Levitz Furniture in the Tucson, Oro Valley, Marana, Vail, and Green Valley, AZ area.